As usual D23 Expo ended up confusing trying to figure out where to go, but we did manage to figure out how to get into the hall and to the reserved seats for Sorcerers with plenty of time to spare considering they started about 10-15 minutes late. We're still glad we've never wasted time doing any presentations before as even with Sorcerer we could barely see anything. However, Sorcerer was definitely worth it to be able to just show up a 15-20 minutes before and have a seat to experience at least the Disney Legends Awards (and Mik's excited for the video game one on Sunday, too). 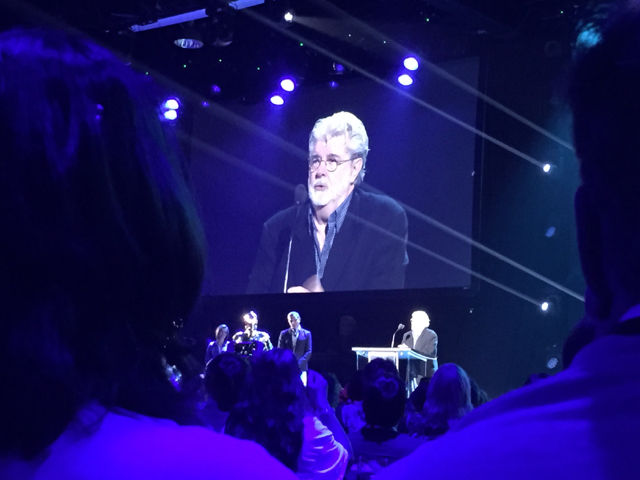 The whole reason Mik was interested in at least giving a presentation a chance was we knew George Lucas was going to be there to be inducted in as a Disney Legend. Turned out to be even more amazing with other past Disney Legends in attendance. 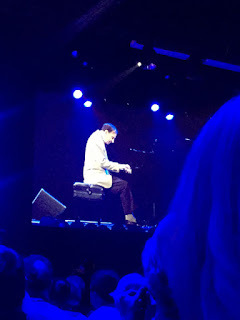 Mik also really loved the little performances between presenting the new Disney Legends. My favorite was Richard Sherman came out and did a new song called "A Kiss Goodnight." 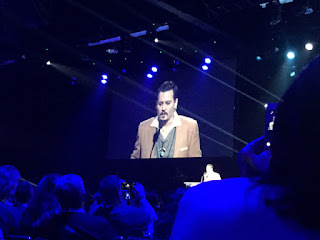 Mik's absolute favorite part ended up being the surprise at the end with Johnny Depp ending up also being one of the Disney Legends this year. Mik liked it because he was funny.